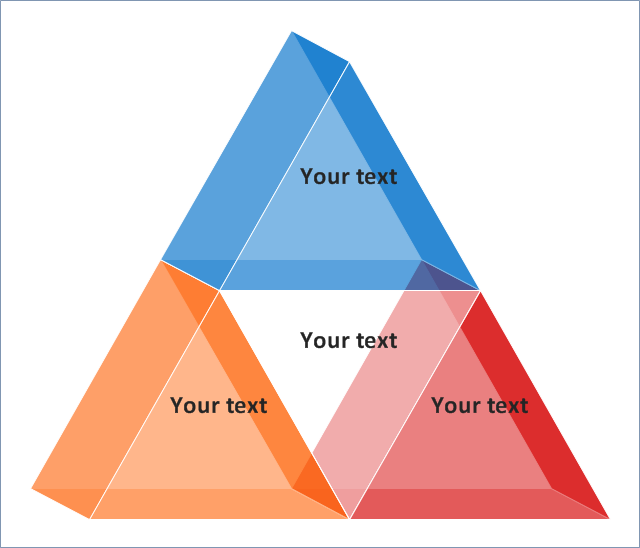 3D Triangle diagrams visualize the relationship building blocks as a triangle divided into horizontal slices, and may be oriented up or down. 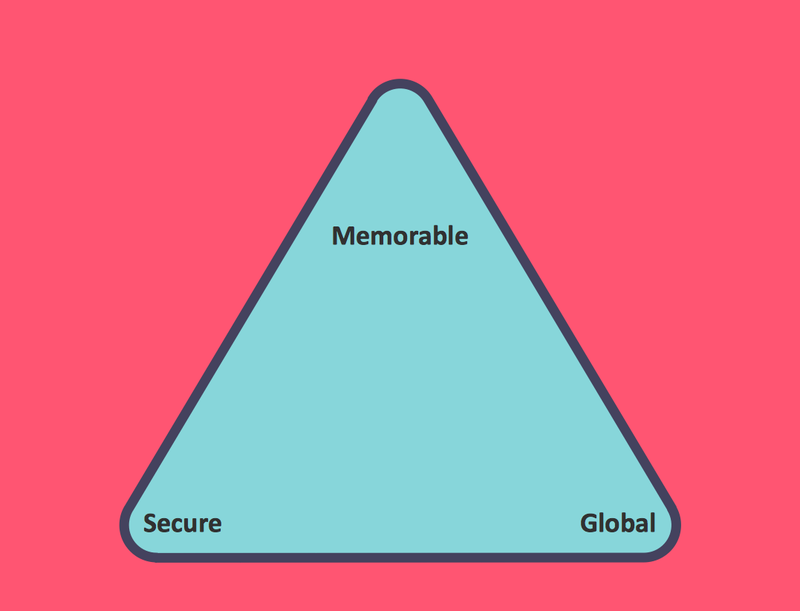 Labeled slices represent a hierarchy. 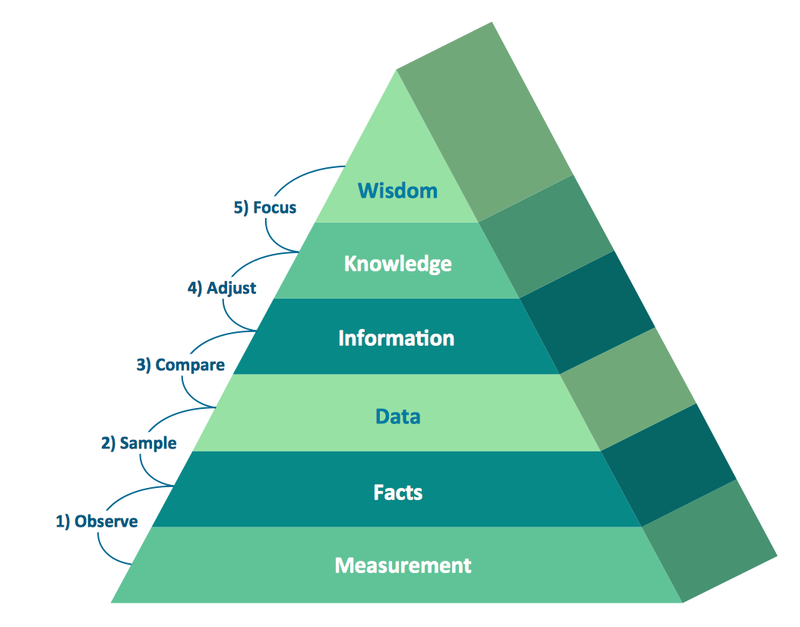 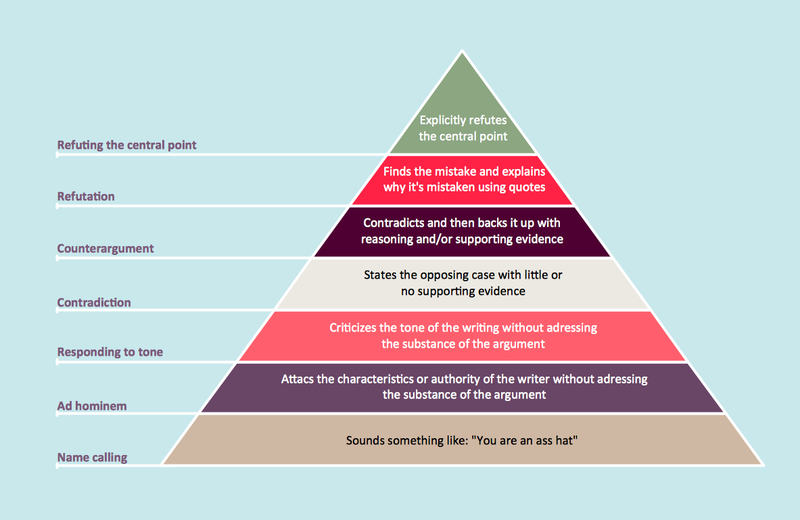 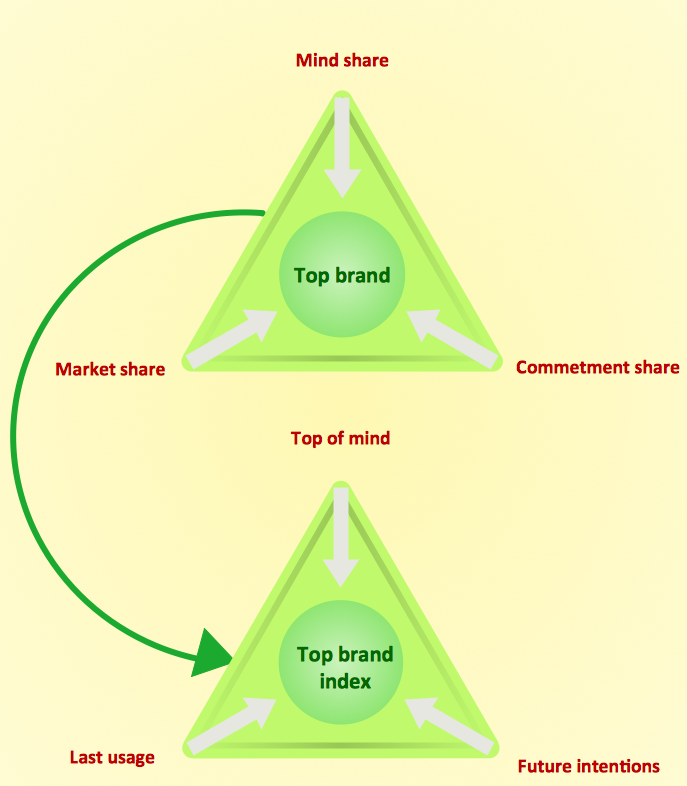 They are used in marketing presentations to show and analyze hierarchy levels. 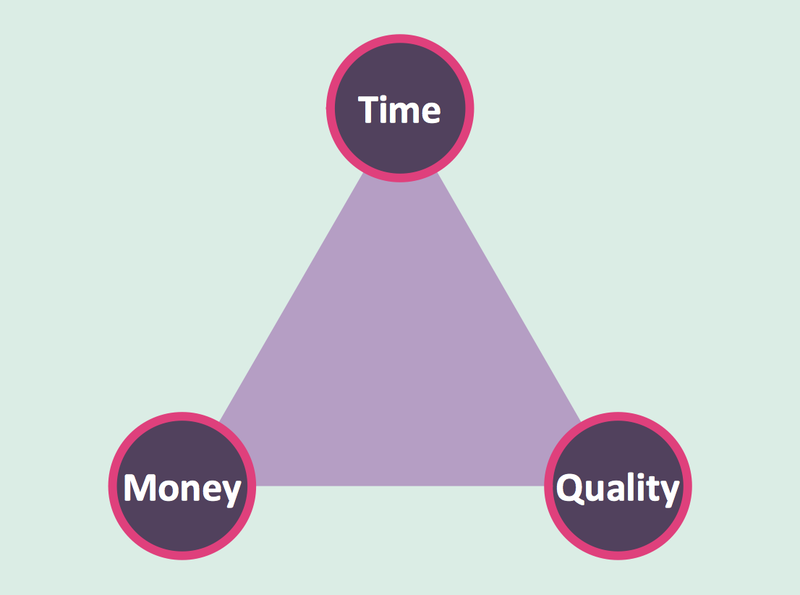 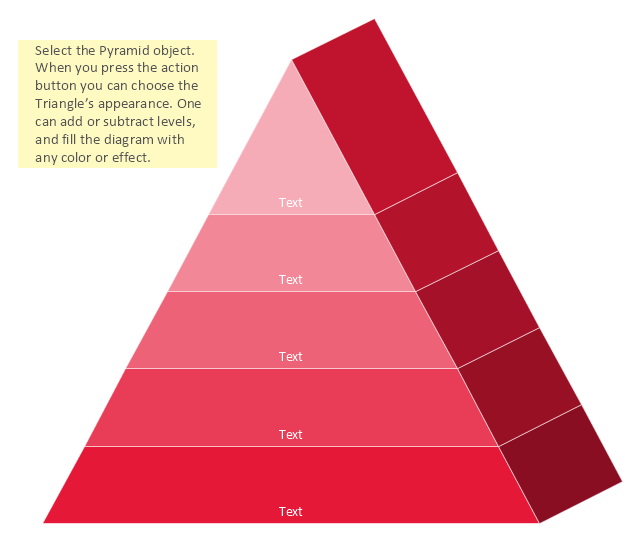 Use this 3D segmented pyramid diagram template to create your own marketing triangular diagrams using the ConceptDraw PRO diagramming and vector drawing software. 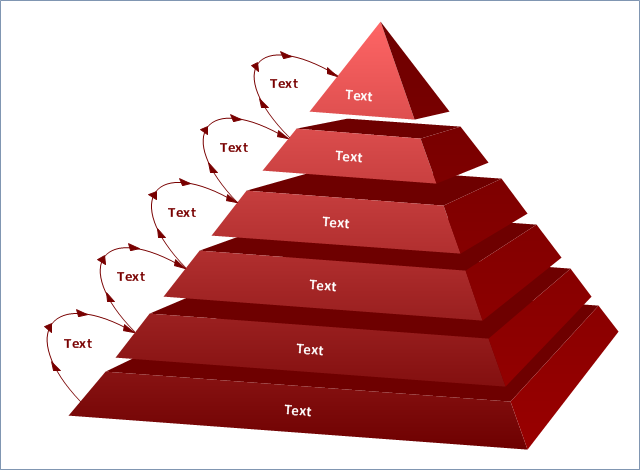 The 3D segmented pyramid chart template is included in the Pyramid Diagrams solution from the Marketing area of ConceptDraw Solution Park. 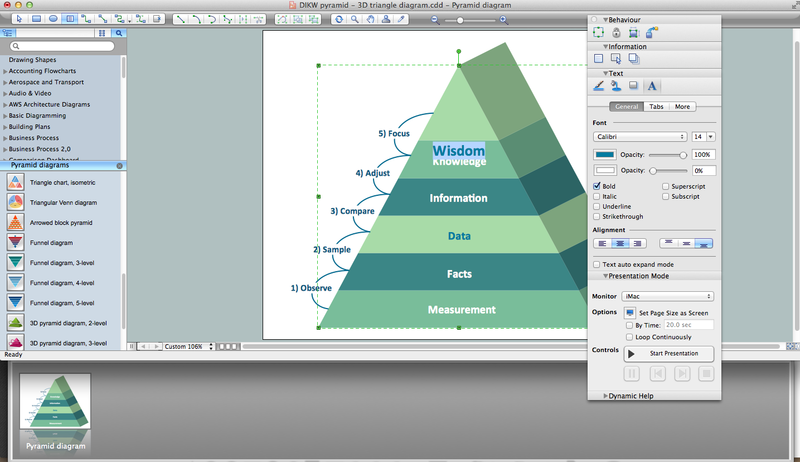 The template "6-Level 3D pyramid diagram" for the ConceptDraw PRO diagramming and vector drawing software is included in the Pyramid Diagrams solution from the Marketing area of ConceptDraw Solution Park.